The final stage of 111 Quay Street apartments has been released, giving buyers a rare opportunity to buy into the Brisbane CBD. The 12-level development, containing 78 one and two bedroom units, is currently under construction and has only 33 apartments left for sale. Once complete, these modern apartments will boast high quality finishes, modern appliances and views of the city, river and Suncorp Stadium. Place Projects director and development marketer Bruce Goddard said he believed that its CBD location gives 111 Quay Street appeal to both owner occupiers and investors. “Being located in the CBD this project is completely surrounded by amenity and public transport, as well as some of the city’s best restaurants, cultural precinct’s and entertainment at a very close proximity,” Mr Goddard said. “With the CBD being Queensland’s largest employment node, this area is in high demand among renters, and is currently extremely undersupplied." Place Advisory’s Unit Report for the June 2014 quarter found that the Brisbane CBD was the market most limited by available supply and off the plan apartments for sale. Following a very strong March 2014 period, this precinct returned to average sales rates during the June 2014, with only 20 unconditional sales recorded in the Brisbane CBD market. “The end of the past Financial Year saw subdued sales purely due to the lack of stock available,” Mr Walker said. “Currently just three projects, totalling 91 apartments, are being sold in the Brisbane CBD, meaning 111 Quay Street represents a substantial percentage of what is available,” he said. The June quarter recorded a higher than average weighted sale price of $1.355 million this was primarily due to the Abian Apartments, the majority of which sold at the upper end of the price spectrum. “With apartments in this building ranging from $335,000to $575,000, 111 Quay represents a much more affordable option when compared to some of the other projects available in the CBD,” Mr Walker said. He said the buildings body corporate fees were lower than others because it doesn’t have a gym or a pool, proving to be another incentive for buyers. With the last remaining apartments at 111 Quay Street finally on the market, buyers have been offered one last chance to purchase in the Brisbane CBD. “Brisbane is currently delivering extremely affordable product ahead of record low interest rates, and on top of this has seen a diverse buyer profile and an improved local sentiment in the market,” Mr Walker said. 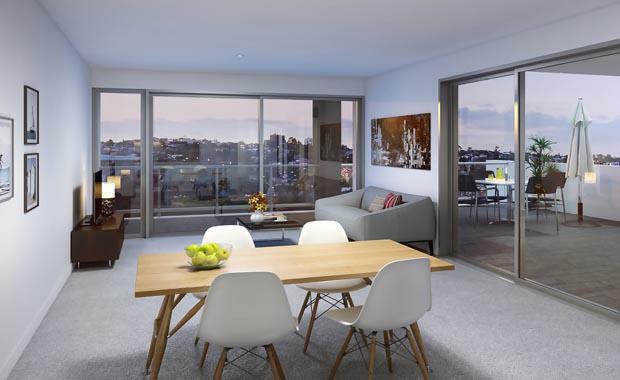 Construction for 111 Quay Street apartments is expected to be completed by October 2015.